MAY Custom Homes provides home and business owners with smart solutions, fast timelines, and trained craftsmen to restore your property after a disaster. Count on our experience for a job done right to restore your home and peace of mind. We understand the necessity of providing the right team with the proper skill-set to complete your home restoration as quickly as possible. To that end, we offer our commitment to returning your home, your business, and your life back to normal as quickly as possible after a natural disaster occurs. Fire and smoke damage can have a devastating effect on your home, personal effects, and even your well-being. 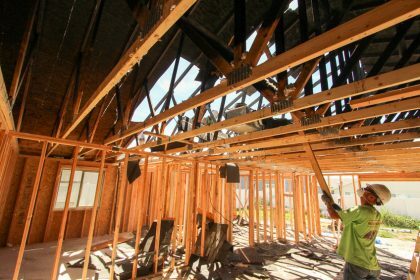 Our specially trained restoration team can quickly respond, provide an estimate, and begin the cleanup and restoration process. Water damage left untreated is particularly dangerous because mold growth may lead to ongoing health issues such as asthma. If you suspect mold contact us immediately. Recovery from water damage may require structural drying and in some cases replacement. 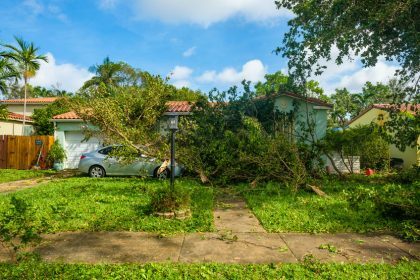 Wind and hurricane damage can vary greatly, but often includes damage to the roof, siding, and windows. Count on our highly experienced restoration team to assess, respond, and fully repair home and business damage due to high winds. Damage to your structures can occur from a variety of reasons. Structural damage due to accidents, lack of proper maintenance, or simply aging can reduce a homes value and livability. Let MAY Custom Homes restore your investment. Historic home restoration is our specialty. 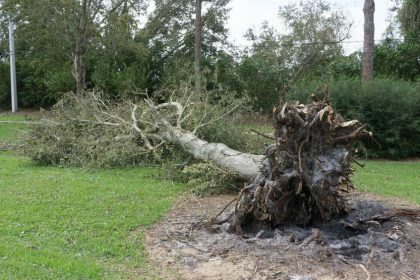 Tree damage can be extensive, and requires a variety of specialists for tree removal assessment, application, and recovery restoration. MAY Custom Homes provides you with one contact point who is available to answer any questions you may have during the process. Take advantage of this opportunity and renovate your home design. Complete or partial home remodels restore your home and update your design.